Israeli, Fatah and Palestinian Authority officials have exchanged verbal blows over Qatar’s efforts to ease the crises in the Gaza Strip by paying $15m for the salaries of civil servants. 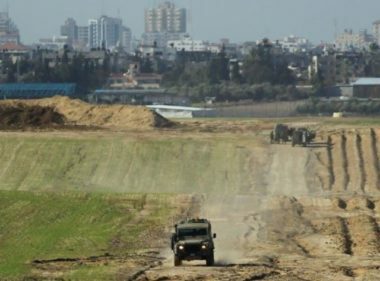 Some Israeli officials claim that this is a boost for the “terrorist” organisation, Hamas, which is the de facto government of the coastal enclave, while Fatah and the PA claim that it reinforces the internal Palestinian division. Almost all of Israeli Prime Minister Benjamin Netanyahu’s cabinet colleagues agreed to allow the cash to be transferred to Gaza. Netanyahu defended this move, saying it was necessary to prevent a humanitarian catastrophe in the besieged territory. Most senior military officials in Israel concurred even though far-right Defence Minister Avigdor Lieberman apparently rejected it, Education Minister Naftali Bennet told Channel 20. According to Haaretz, Netanyahu defied those who objected to the move, saying that he knew how to bear the cost. 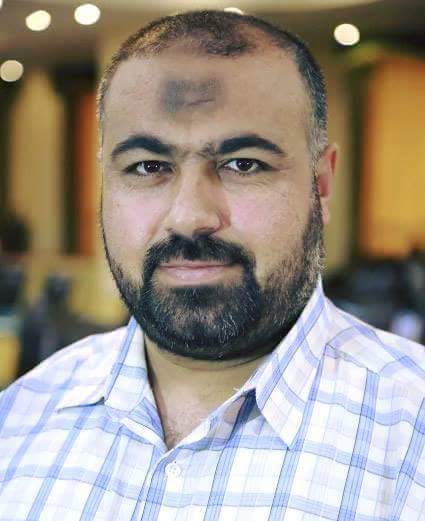 Meanwhile, Fatah and the PA accused Hamas of reinforcing the equation of “blood for money” after accepting the salaries of civil servants paid by Qatar and a $10m per month donation for essential fuel for Gaza’s sole electricity plant for six months. Israeli Environment Minister Zeev Elkin accused PA President Mahmoud Abbas of causing the tension in Gaza by stopping the peace talks with Israel and cutting the civil servants’ salaries in the first place. As far as the PA is concerned, the specialist in Israel Studies believes that it has no choice in the matter. “If Israel makes a decision, it imposes it on the PA and all of its institutions. The Secretary of the PLO, Saeb Erekat, was clear about this when he said that Israel had warned the PA against trying to disrupt the current lull in the conflict with Hamas in Gaza.” Abbas, noted Al-Naami, was also pressured by the Egyptian President Abdel Fattah Al-Sisi not to oppose the understandings between Hamas and Israel. “Hence, the lull will last as long as Hamas and Israel consent to it.” Other options, he concluded, would swing into play if either of these parties change their mind. One of the anomalies of political Zionism is that, while it was founded as a response to murderous pogroms against European and Russian Jews as a means to rescue them from such treatment by having a safe haven to go to, the founding fathers of the State of Israel and their successors have had no qualms about inflicting terrible suffering and hardship on others in order to achieve their aims. The stated aim of making sure that the ultimate pogrom called the Holocaust, for example, will “never again” befall the Jews, has meant that “again and again” is the rule with regards to Israel’s violations against the Palestinians and anyone else deemed to be an enemy. In the establishment of a state specifically for people of a particular race, there are those who would argue that Zionism is a racist ideology. This argument ensured that, in November 1975, UN General Assembly Resolution 3379 determined that Zionism is “a form of racism and racial discrimination”, although under US pressure imposed by President George H W Bush, this was revoked in 1991. Nevertheless, the notion of “God’s chosen people” treating those perceived to be lesser mortals, Arab Palestinians, so abominably day after day for more than 70 years remains government policy in Israel. That is the reality. The state targets anyone who gets in its way of occupying as much of historic Palestine as possible with as few Palestinians on the land as possible; “Greater Israel” is the desired result. Killing Palestinians and other non-Jews is not usually an ethical decision, but one taken according to the benefits it provides for Israel. Scientists, community leaders, religious leaders or simply whoever stands in front of them can be and often is a target, regardless of race, religion, citizenship, gender or age. Such murders are not the acts of rogue killers. They are endorsed by the Israeli Prime Minister, Benjamin Netanyahu, which makes him a direct accomplice in all such crimes. In the case of Israel, therefore, terrorism is not an individual or non-state actor modus operandi; it has come to define the state itself. Murderous “operations” have been endorsed by successive Prime Ministers of Israel, targeting not only Palestinians, but many other nationalities too. Israel rarely acknowledges its responsibility for any of them, even when they fail to hit the target. Indeed, Israel has committed thousands of crimes over the years, including alleged war crimes, crimes against humanity, ethnic cleansing and mass murder. Despite this, it has not been made to account; it acts with impunity, treating international laws and conventions with contempt, safe in the knowledge that its friends in the West have its back covered, especially the US and its veto at the UN Security Council. Britain is one country where the pro-Israel politicians changed the procedures for its law of universal jurisdiction in order to protect suspected Israeli war criminals from prosecution. Former Foreign Minister had to cancel her visit to Britain because arrest warrants were prepared due to Israel’s crimes committed in the Gaza Strip. Upon hearing the news, Livni commented, “The free world must differentiate between real war criminals who must be brought to justice and those who fight terrorism against civilians, including the officers and soldiers of the [Israel Defense Forces].” The British government duly changed the law. Helping such people to escape prosecution also makes those who protect them complicit in their crimes. Knowing that they can act with impunity emboldens Israeli politicians to go further with their illegal policies and practices. This psyche has been prevalent among Israeli leaders since before the state was founded on Palestinian land in 1948. Members and leaders of the Irgun and Stern Gang terrorist groups went on to become leading politicians in Israel, including prime ministers. Just a few weeks ago, Ehud Barak — Israel’s Prime Minister from 1999 to 2001, and the most decorated soldier in the history of the state — declared with no shame that he ordered the killing of 300 Palestinians in a matter of 3 minutes. Ironically, this man was the leader of the Labor Party, which is usually regarded as a party of the left. That demonstrates how far to the right Israeli politics has shifted. Barak, though, was no less inhumane than other Labor leaders. The late Shimon Peres, for example, is remembered in the Arab world not as a Nobel Peace laureate, but as the architect of a massacre of Lebanese civilians. On 18 April, 1996, 800 Lebanese civilians took refuge from Israel’s brutal “Operation Grapes of Wrath” in a UN peacekeepers’ compound in the village of Qana. 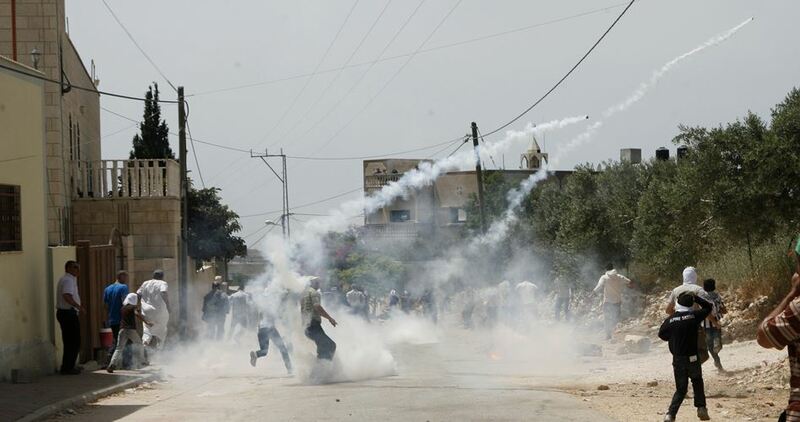 Israeli troops fired artillery rounds into the compound deliberately, killing 106 people and injuring 116 more. This encapsulates Israel’s “targeted assassinations” policy; it is murder by any other name. Western complacency and Israeli belligerence make such killing permissible. There definitely is “something wrong with our way of thinking” when that is the reality of the world today. After the Israeli aggression earlier in the week, the question before Friday November 16th Great Return March demonstration in the besieged Gaza Strip was how Israel’s regime would react? Would the relative ‘calm’ of the two previous Fridays with ‘just’ one death prevail, or would it seek to bleed the protesters after the humiliation of backing down from the confrontation with the resistance? 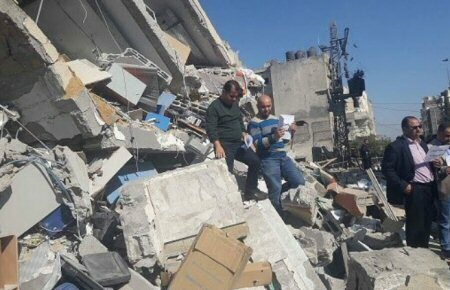 With Israel’s cabinet in process of disintengrating, the Great Return March was attacked with similar level of violence by Israeli occupation forces as on two preceding Fridays: At least 77 people were injured, with 40 wounded with live ammunition and 10 shot with rubber-coated steel bullets, according to the Shehab News Agency. One person was seriously wounded. Israel’s regime, for now, is more concentrated in in-fighting than attacking unarmed Palestinians – after killing up to 247 participants of the Great Return March since March 30th. “Algeria will continue to exert all its efforts to address the challenges hindering the establishment of the Palestinian state,” he stressed. “I take this opportunity to renew our full and continuing support to the Palestinian people in their struggle to determine their destiny and to restore their legitimate national rights,” the Algerian president reiterated. Kuwaiti security services have deported Israeli activist Ben Tzion less than 24 hours after he entered the country, local media reported. The activist and blogger’s deportation came after widespread criticism by Kuwaiti lawmakers and activists for “the presence of an Israeli person in their country and his visit to the International Book Fair” after Tzion documented his visit on Instagram. Kuwaiti media – including Al-Qabas and Al-Rai – quoted a source as saying that Tzion had entered the country with a US passport and that his visit was not for the aim of participating in the Kuwait International Book Fair. On Thursday evening Kuwait’s Interior Ministry deported Tzion after 18 hours in the country, according to the same sources. The Kuwait Book Fair began on 14 November and continues until 24 November in a session which celebrates Jerusalem as the eternal capital of Palestine. Last November Tzion – who is of Russian origin –sparked anger on social media after he posted photos inside the Prophet’s Mosque in Medina, Saudi Arabia. 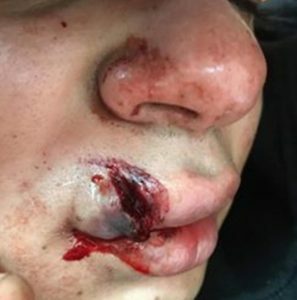 Israeli soldiers wounded, Saturday, at least fifteen Palestinians, including one who suffered a serious injury, in Orif village, south of the northern West Bank city of Nablus, during a nonviolent activity resisting the illegal annexation of Palestinian lands for the construction and expansion of Israel’s colonies. 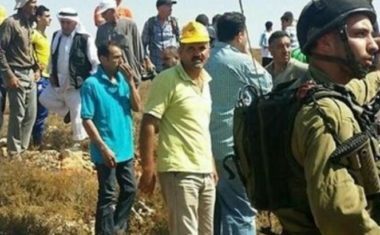 The Israeli assault took place after dozens of soldiers attacked residents and activists while planting hundreds of olive saplings on Palestinian lands Israel is planning to illegally annex for its colonialist activities. The soldiers invaded the eastern area of Orif village, and resorted to the excessive use of force, by firing live rounds, dozens of gas bombs and concussion grenades. 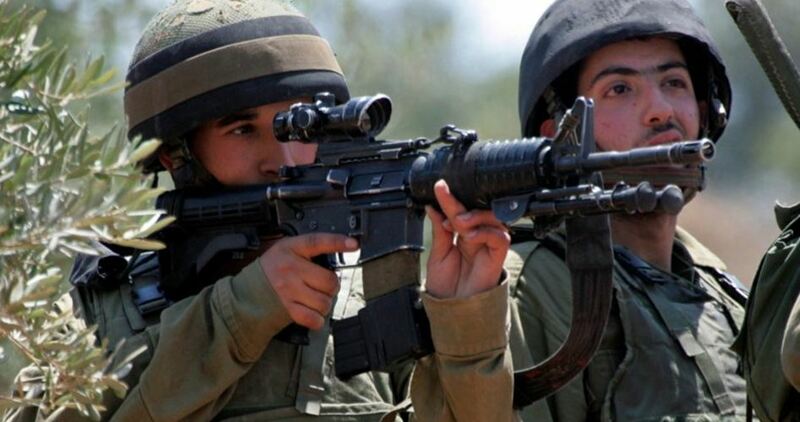 The Palestinian Red Crescent Society has reported that the soldiers shot at least three young men with live fire, one of them was shot in the thigh, and one who suffered a serious injury, after the soldiers shot him in the abdomen. The PRCS added that medics also provided treatment to at least 13 Palestinians, and added that the wounded were injured by Israeli rubber-coated steel bullets, in addition to suffering the effects of teargas inhalation.